Cara Delevingne is on a roll. As in, she's rolling so fast we can barely keep up with her. Her latest announcement comes in the form of a major fashion collaboration. Yes, we know she's collaborated before for the Cara Delevingne for Mulberry collection, but that was for accessories. This time around, Cara is lending a helping hand to a clothing line. 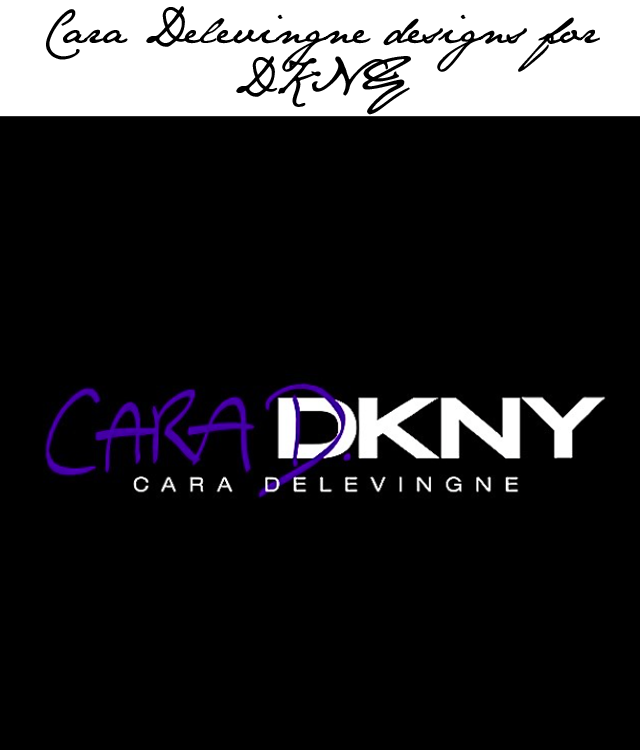 Cara Delevingne is designing for DKNY. The announcement is one that is truly not surprising. Cara has walked for them in the New York shows. She's starred in their campaigns prior to this announcement, and she is pretty much everything the DKNY girl stands for. Yup, match made in heaven. WWD tells us there will be 15 items in the collection that will hit stores in November. There will be everything from sweatsuits to leather jackets, and mostly all unisex. 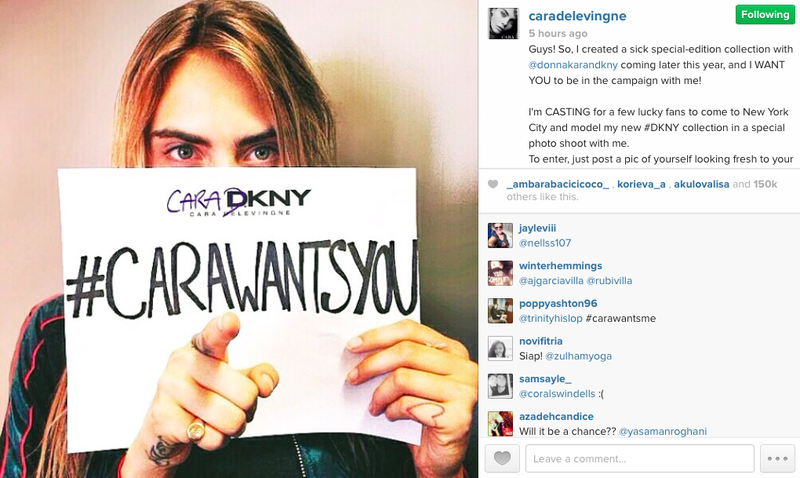 Cara Delevingne will star in the campaign for the DKNY collection, but there's also a social media twist. Delevingne has taken to instagram to tell her 5 million followers that they have a chance to star in the campaign with her. Oh yeah, it's a walk off people. Ok, actually it's an instagram-off, but you get what I mean. Now, the big question is will Cara's bunny rabbit be starring in the campaign as well?